My husband and I have used two other Investigation services and Brian at LA INTELLIGENCE is by far the most honest and accurate we’ve used. He is a pleasure to talk to and gives great advice as to any options we had, thus decided on our best one. Brian knows his stuff, he’s a well seasoned professional and we were very pleased with our results. Since I cannot go into detail about our specific needs, I mean who would, being so very personal… I can say Brian is prompt in his response time and quotes a fair price for his services, I’ll even go beyond that and say it’s more than fair in many cases. I suspected that my wife was cheating so I called LA intelligence because of their reviews. I was told there was no way of knowing what the total cost would be but it turned out they caught her in one day and got 18 minutes of video of her with a male companion. I received real time reports and I felt that a review was definitely in order. If you are in a similar situation, you can’t go wrong with these guys. Thank you Brian. You guys are the Consummate professionals! I was suspicious of my husband having an affair. Based on the Yelp reviews I contacted Brian at LA Intelligence. I initially asked for a license plate check which led to another request for background information. After a few weeks, I contacted Brian again and asked for surveillance and to obtain photos. In all my communication with him he was respectful and professional. The response to my requests was quick and detailed. Although I was uncomfortable requesting the help of a private investigator, his kindness made the process easier. I would never wish this situation on anyone, but if you find yourself in need of information I would highly recommend the services of LA Intelligence. I never write a review for services I’ve used, however, in this instance I felt I needed to say something, especially for the benefit of those looking to employ a Private Investigation firm. I have never used or hired a Private Investigation service before, primarily since I’ve always had in the back of my mind the idea that it was a sketchy business. However, I needed work done that was out of the ordinary, and the only type of entity that made sense was a Private Investigator. Although I was a bit apprehensive, I decided to start looking up PI services – of course my 1st place to look was Yelp. 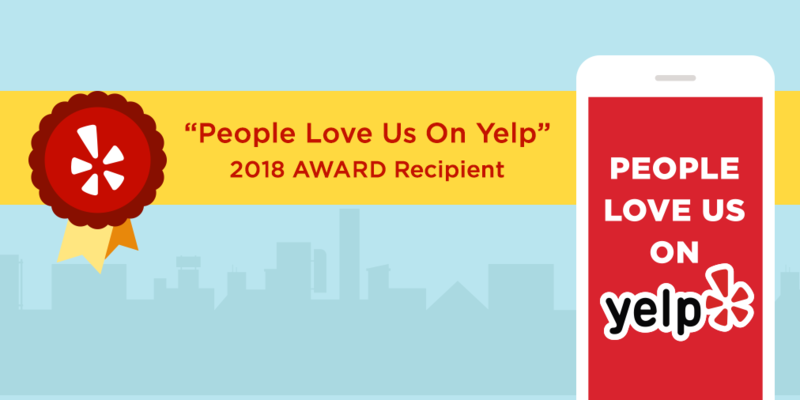 I scoured all the PI Services/Companies listed in Los Angeles (on Yelp) and read every review attached to all the top-rated agencies – finally landing on a couple of possibilities. After making some calls to these potential PI companies, I ultimately decided to go with LA Intelligence… and I’m very happy I did! I spoke to Brian who immediately understood my dilemma, and after our conversation I knew his outfit was the one I wanted to hire. Without going into too much detail, I needed to find and serve court papers to a corrupt individual who supposedly skipped town to avoid getting caught. This person was hiding from several people and even his wife (from whom he disappeared without notice) filed a police report to try to locate him…to no avail. Once I gave Brian some background info on this person, his response was that he was confident he would be able to not only find this person but to also successfully serve the court papers. I stated this was a time sensitive situation, but again Brian was confident in his ability to succeed – so much so, that when I decided to engage his services, he told me he would have everything done and over with by the next couple of days. You know what… he came through! Thanks Brian and LA Intelligence…! I have used L.A intelligence twice already. Tried some other ones but L.A Intelligence was Fantastic. They were on top of things the day i hired them. The owner cares about his clients.Not like most who charge alot and get results slower so you pay alot of money. I will always use this agency. No others. Thank you L.A. intelligence for caring. My attorney was having no results getting my ex served through their process server, causing a new hearing date to be set. I knew I would waste even more money and time if we kept trying to get my ex served through a traditional service and eventually would need to go to court to prove that my ex was evading service. I decided to use LA Intelligence based on all the positive reviews. It was my first time using a service like this, and I’m so glad I did. Within 24 hours or providing information to LAI, they were on the case and within two days service was complete. It turned out that my ex continued to evade service when personally identified by LAI, causing the server to engage in pursuit until a red light provided another opportunity. So glad LAI took care of this so quickly and to not have to deal any longer with the hassle of my ex evading service. I contacted LA Intelligence after reading the YELP reviews. Excellent service and we got the results we needed within a few days. Brian was reliable and explained everything to us in detail which was needed as we weren’t familiar with the system in the US. Thank you Brian and the team for all your hard work !! I hired Brian at LA Intelligence to verify a situation that I had suspected. Brian was thoroughly professional from our initial conversation. Within 24 hours, he was on the case and was meticulous in his investigation. I received real-time updates and video surveillance throughout the investigation. He provided me with all the information I needed in order to make a thoughtful decision as how to proceed. I would absolutely use him again and would highly recommend him without hesitation. Brian is the best. I have never done this before and was quite nervous Brian is totally professional and very kind and honest. He put me totally at ease and actually advised me to stop his services. He kept me updated the entire time and always knew what was going on. would totally recommend. With virtually no notice, Brian was able to provide a three day project and do so with professionalism and courtesy. He kept me informed of the progress throughout and provided excellent service. I needed a background check quickly and Brian got it done in less than a half hour. He also helped me interpret the information and pointed out a few things I would have missed. Service was great and he really knows his stuff. I am currently going through a divorce and next month there will be a hearing to determine my alimony. My wife was claiming that she was unemployed and had no income which I now know is a lie. Brian was able to document her work schedule through surveillance and video which clearly shows that she has a full-time job. When I first called these guys, I had no idea what had to be done and by following their suggestions, I now have the evidence that I need to bring to court and win my case. I highly recommend LA Intelligence for their professionalism and expertise to anyone in a similar situation. I could not be more grateful for what they have done even though it was expensive but well worth it in the end. We were looking for a Private Investigator to assist us. Bryan was an excellent choice. He responded to our needs quickly, and provided accurate, affordable, information/support. We were grateful for his assistance, so that we could make an informed decision. this firm to any one in need of information.Also brian was a pleasure to deal with. I contacted Brian because I suspected my girlfriend of three years was seeing someone else. Brian was able to verify this to be true and documented the encounters with video evidence. I could not be more pleased with the results because it saved me from making a terrible mistake. 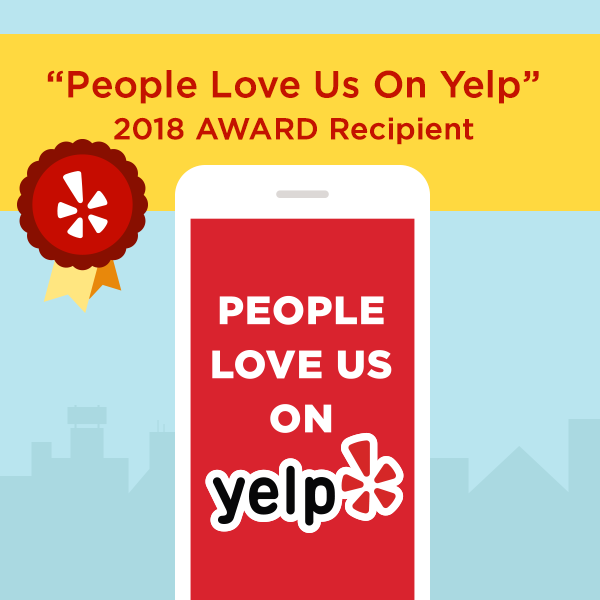 I’m from the east coast and I did not know who to call until I found him through yelp. I highly recommend LA Intelligence for their work and professionalism. Brian is one of the nicest professional sentimental people I have came across . He replied to my services quickly and intently. He was understanding and helped me figure out exactly what I should do. He didn’t pressure me to choose his company and he worked with the money I could afford. He provides information needed and always got back diligently . He was reasonably priced as well. I didn’t end up going through with it for personal reason but Brian was very understanding and gladly gave me the majority or my money back due to the fact time of is I wasted so I completely understand needing to keep some of it. I am so greatful and thankful to have met him and I appreciate his services.i would highly recommend his services ! As a licensed investigator (High Wire Investigations) based out of Orange County, I have had to reach out on occasion for help when my case loads are overwhelming. Brian and his staff at LA Intelligence are one of very few private investigative agencies I would trust to uphold the integrity of my business. Brian is always able to conduct complete investigations that are not only well documented, but maintains the integrity and confidentiality of my clients. Brian communicates and maintains an open line of communication for the duration of his investigation. I highly recommend LA Intelligence to those looking for a quality investigation at a reasonable price. Fast professional service. Would absolutely use this company again. Also nice to know you reach a person instead of a machine that you wait hours or days for a callback. Liked how quick they were able to do a background check. Highly recommend. I had to investigate a person who was trying to get workers comp from my father when he was not hurt. He was working another job and trying to get money. I hired LA Intelligence to follow the guy and prove that he was not injured and he was working another job. They did a great job and were very nice. I would recommend their services to anyone in need of an investigator. Brian is an amazing person i had some issues going on and i explained to him and he helped me out right away! It took him a few hours to get me the information i needed, he was very kind over the phone and has very good communication. i would highly recommend LA Intelligence. First off I want to start by saying Brian is the best! I had no idea how a PI worked or how much they cost. I called some other companies but Brian was confident, calm, and his pricing was very fair. He knows what he is doing and I couldn’t be any happier. He has a great team and they are all knowledgable. I would recommend his services to anyone that is looking to use a PI. He helped me with my case and I am forever thankful. Look no further!!! Brian to the rescue!!!!!!!!! LA Intelligence is perfect, they are discreet, very responsive and professional. I worked with Brian on a personal case, and he handled it perfectly. It was nice to feel that I wasn’t being taken advantage of, and that my case was handled just like I wanted it. Brian asked me what I needed, and I explained to him all that I knew, but he took over from there, with his knowledge and expertise. I would highly recommend them. And as a matter of fact, I am using them on another job soon. I was very impressed with the way Brian and his team handled my situation. They were on point right from the very start. If you are in need of a private investigation firm, these guys are the real McCoy.